Herons, egrets, and bitterns are medium to very large wading birds, birds with long legs who walk through shallow water searching for prey. They are 9.7 to 58.5 inches (25 to 150 centimeters) long from beak to tail, and they weigh between 0.16 and 9.9 pounds (73 grams and 4.5 kilograms). They have long necks, which they fold over their backs when flying, and long legs and toes. With the exception of the boat-billed heron, which has a wide, flat bill, these birds all have long, sharply-pointed bills, large eyes, and broad wings. The birds in the heron, egret, and bittern family have feathers that are combinations of the colors black, gray, brown, and white. They have a comblike claw on each of their middle toes that they use for smoothing their feathers. Another way they keep their feathers in good shape is by putting powder on them. It comes from feathers called powder downs. These are special feathers that turn to powder instead of dropping off. 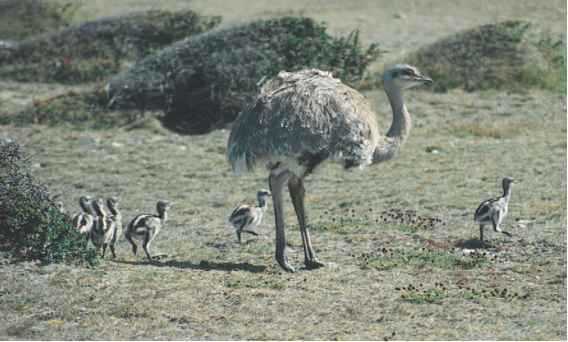 At breeding time, both males and females grow long, showy feathers on their heads, necks, and backs. Herons, egrets, and bitterns live on all continents except Antarctica. They also live on islands in all oceans. Many of these birds prefer warm climates, and they live in the tropics year round. The birds that nest in the cooler areas of the world usually migrate in spring and fall.